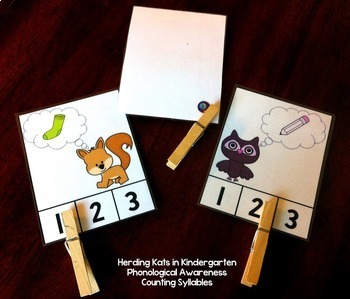 Phonological Awareness Clothespin Activities - Rhyming, Syllables, Initial Sounds: with a woodland animals theme! 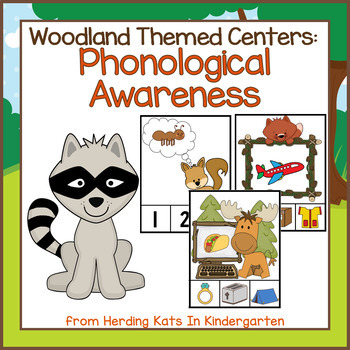 This set of center activities focuses on the phonological awareness skills of rhyming, syllable segmentation and initial sound discrimination using alliteration. 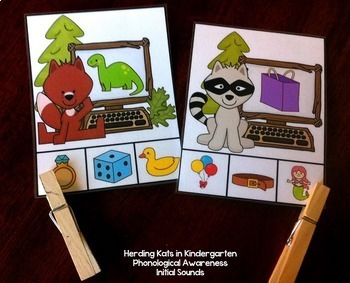 The forest theme makes this pack great for Back To School with a Kissing Hand theme or any time your students need practice with these key phonological awareness skills! 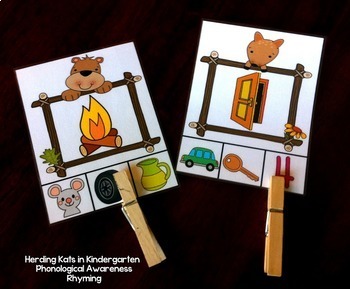 24 cards for identifying the beginning sounds of words. These activities are self-correcting, engaging and a great fine motor skill work-out! Your little learners will practice 3 essential phonological awareness skills: identifying rhyming words, segmenting words into syllables and listening for initial sounds. Each activity has a corresponding recording sheet so you can assess mastery of the skill. You can use these activities in small group or as individual work station or center activities.